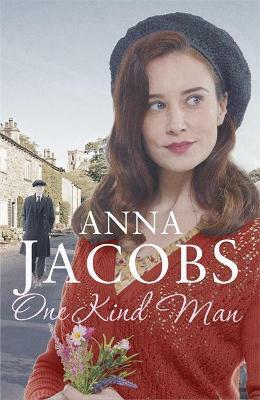 From the beloved and bestselling Anna Jacobs' comes the second novel in her new Lancashire-based saga.Book one saw Leah Turner's father killed in an accident at the laundry, and since her mother died years ago it falls to her to become sole provider for her little sister. But women's wages are half those of men and pawning the few belongings she has left will only keep their vicious rent collector at bay for a few weeks, so even if she finds a job, they'll lose their home. Out of the blue Charlie Willcox, the local pawnbroker, offers her a deal. His brother Jonah, an invalid since being gassed in the Great War, needs a wife. Charlie thinks Leah would be perfect for the job. The idea of a marriage of convenience doesn't please Leah, but she finds Jonah agreeable enough and moving with him to the pretty hamlet of Ellindale may be the only chance of a better life for her sister. But other people have plans for the remote Pennine valley, and the two sisters find themselves facing danger in their new life with Jonah. Can the three of them ever look to a brighter future? Anna Jacobs was born in Lancashire at the beginning of World War Two. She was four when the war ended, and it was only after its end that she met her father, who had been serving as a soldier in the Middle East, for the first time. Anna remembers the post-war years well, as a peaceful time when people were happy to be done with war and content to enjoy themselves in simply ways such as playing cards with friends or going to Saturday dances at various clubs. Anna has since emigrated to Australia, but still visits the UK regularly to see her family and do research, something she loves. She is addicted to writing and figures she'll have to live to be 120 at least to tell all the stories that keep popping up in her imagination and nagging her to write them down. She's also addicted to her own hero, to whom she's been happily married for many years. She is the bestselling author of over sixty novels and has been shortlisted for several awards. Pride of Lancashire won the Australian Romantic Book of the Year Award in 2006, and The Trader's Wife was shortlisted for the 2012 award.